Fish that are bred to be bolder or more shy show corresponding changes to their body shape and locomotion, suggesting that personality changes affect other seemingly unrelated traits. The findings could be useful in animal breeding, pest management and studies of complex human behaviors. In a study performed by North Carolina State University researchers, zebrafish that were bred to be more bold -- quantified by the shorter amount of time they remained motionless when placed in new surroundings -- displayed a sleeker body shape and an ability to dart around the water more quickly when startled than those bred to be more shy. Brian Langerhans, an assistant professor of biological sciences at NC State and a senior author on a paper describing the study, says the research could help scientists learn about the connectedness of what seem to be disconnected animal traits. "Complex behaviors, like the behaviors we call 'personality' or 'temperament,' can be associated -- genetically correlated -- with other traits that one might think are independent of such behaviors, like body shape and swimming abilities," he said. "In other words, traits that seem unrelated may not be unrelated." In the study, the researchers used zebrafish lines that had been selected to be bolder by breeding fish that stayed still for a maximum of 50 seconds after being introduced into new surroundings, while shy fish -- those that stayed still for more than 3 minutes when dropped into a new area -- were bred to create a shy line. After just a few generations with these breeding regimens, the researchers began to see interesting changes to the different fish lines. Not only did a range of behaviors associated with stressful situations change, but bold fish lines also displayed a more elongate body with a larger tail region and generated higher velocity and acceleration during fast-start startle responses. Shy fish lines had less sleek bodies and slower startle responses. "We think pleiotropy, or one gene affecting two or more phenotypes, may explain the correlation between personality and locomotion," Langerhans said. "On the other hand, the association between personality and body shape seems to reflect linkage disequilibrium that is not caused by pleiotropy or physical genetic linkage. 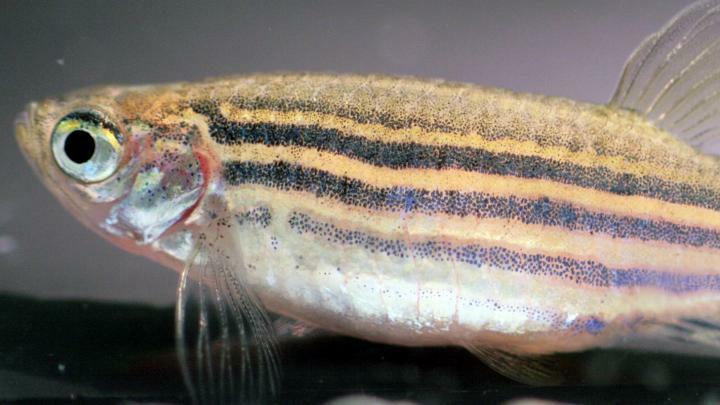 That means these traits may owe their association to recurrent natural selection acting on combinations of traits -- being bolder and sleeker may help zebrafish survive to adulthood or to mate more successfully, resulting in fish tending to have those combinations of traits/genes." Langerhans said that a major goal of his lab is to understand how organisms evolve integrated suites of traits, rather than thinking about traits in isolation. "This is one of the first studies linking personality variation to these other types of traits, and I think many more will emerge in the coming years," Langerhans said.